i was an admin in swapshop for 4 hours with no powers, and i was an admin in rust legacy for a few months, before the server shut down. 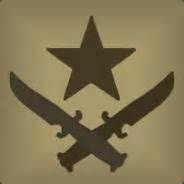 To make it a better place in getting rid of toxic players, and hackers. i have nothing going for me all day, im at home all the time, so any time will be good. i was on a rocket jump map, couldnt do a jump after around 30 tries, so i got unnecessarily angry. then i just quit and went to watch videos and play another game. people say im funny, i would say im a nice person usually, but sometimes i get angered easily, not that often though. i will report it to head admins. i would check out the server and the player that is "speedhacking", and if they are beyond a reasonable doubt, then i will ban them. i really wouldnt care, as it is not against the rules. i couldnt do anything in that situation. i would say that you have no power to do that, and give him a warning, but if they do it again, i would most likely ban them for scamming. I cannot control this, as they bought it from the shop, it is not against the rules. having godmode or noclip and killing people with them on, also resizing and killing players. i cant wait to be an admin, since i'm on all the time, i believe i will catch a lot of micspammers and a few hackers, possibly daily.